There are many Spring Training facilities all over the Phoenix metro area, and I think that makes it perfect. You can go to a game in the afternoon, and then another one at night if you really wanted to. 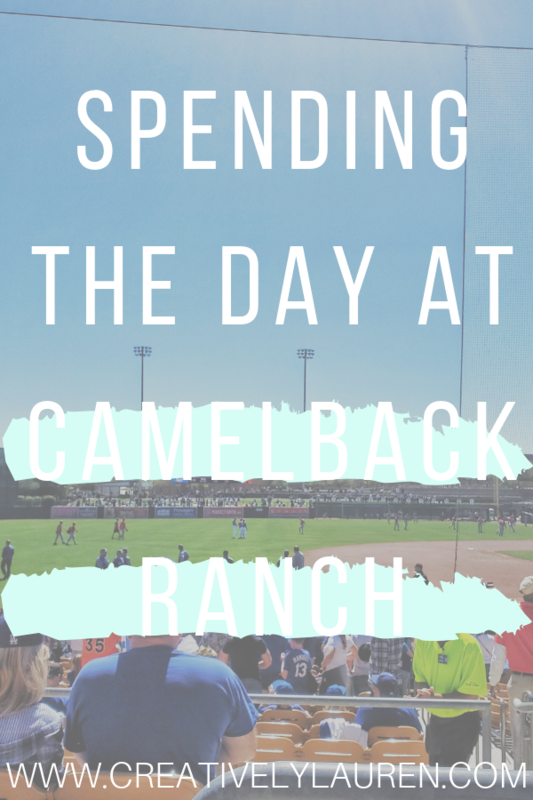 In this post, however, I’m going to be talking specifically about the Dodgers/White Sox facility, Camelback Ranch! 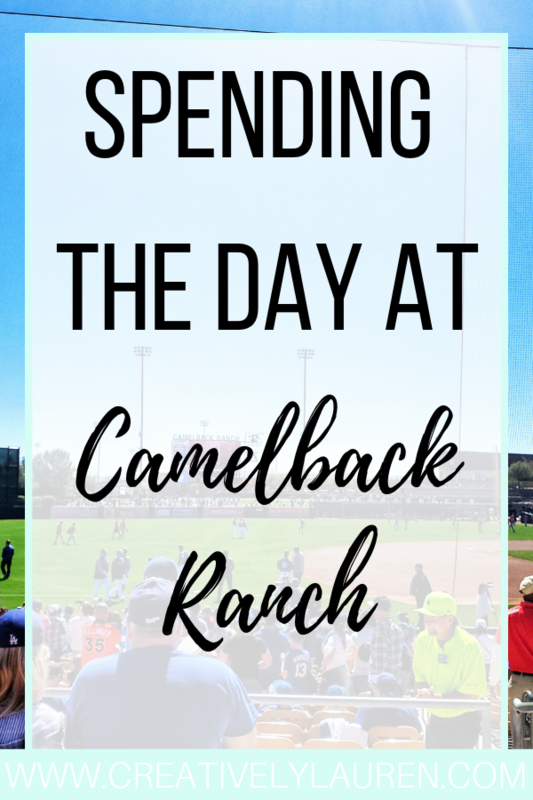 Camelback Ranch is located in Glendale, Arizona, which is considered the West Valley. It’s easily accessible from the Loop 101. It got its name because it’s off Camelback Rd. It’s also near the Westgate Entertainment District, which is perfect for first-time travelers! It also is just a very beautiful and easy to navigate facility. 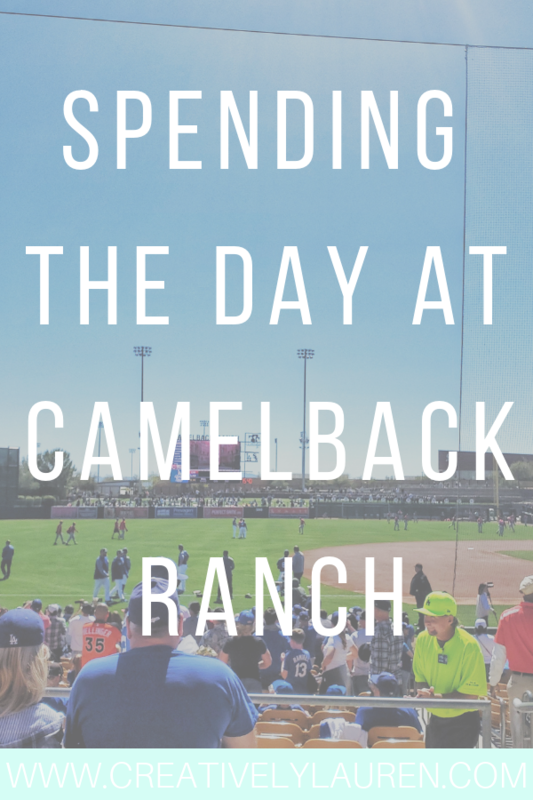 If you’re visiting Phoenix, then the ballpark is a 30-minute drive from the airport, which is very reasonable. There are hotels in the area, and as mentioned earlier, the Westgate Entertainment District is a couple of miles down the road. I believe that it’s worth it to get to the stadium early. There are two stadium shops, one in center field and one behind home plate. I personally recommend the center field one, it seemed a little bit more spacious and laid out better. They have plenty of snack bars that sell the famous Dodger Dog, but they also have little food stands that offer some pretty different and exciting food options. Have you heard of an 18-inch slice of pizza? 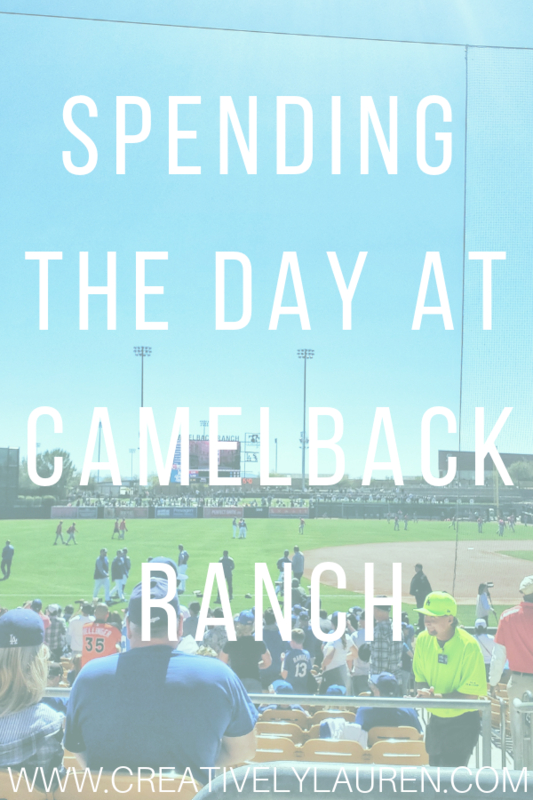 One of the best things about Camelback Ranch is the closeness of the field. It’s basically like a minor league stadium, so every seat feels close to the field. So, when you watch the teams warm up, you feel right there in the action. I love watching the teams warm up on the field for the last 30 minutes before the game starts. Watching the game feels the same way. I love how close to the game I feel like I can actually see what is going on. They also do a lot of in-stadium activities and videos in between the innings, which helps keeps fans entertained. The entire game feels relaxed and chill, which makes sense, it is spring training. 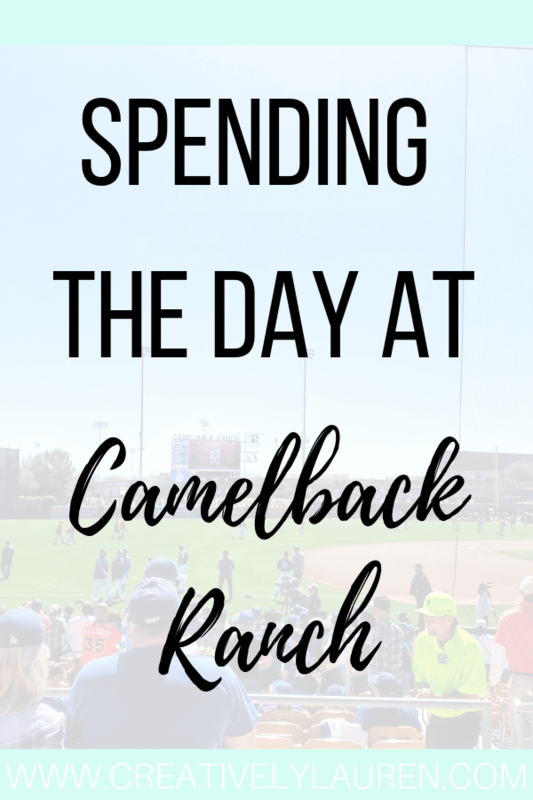 That’s one of the main reasons I love coming to spring training games, they are just relaxed and fun! You don’t have to stay in the Glendale area only if you’re visiting. You can take a day to go up north to Sedona or Flagstaff, or head across the valley to Scottsdale and their nightlife. There is a lot to do and see in Arizona, whether it’s in the Phoenix Metro or up north. I highly suggest going up to Sedona or Prescott if you haven’t been before. It’s an hour and a half up the I-17 and is absolutely beautiful. If you want to stay in the Metro, then the Westgate Entertainment District is where you’ll want to be. There are many restaurants and bars in that area. There’s a Dave and Busters, Buffalo Wild Wings, and other restaurants. There’s also a Stir Crazy Comedy Club if you’re looking for some comic relief after the game. Have you gone to a spring training game before, either in Arizona or Florida? If you have, let me know your experience! Like this pin? Share it so others can too!